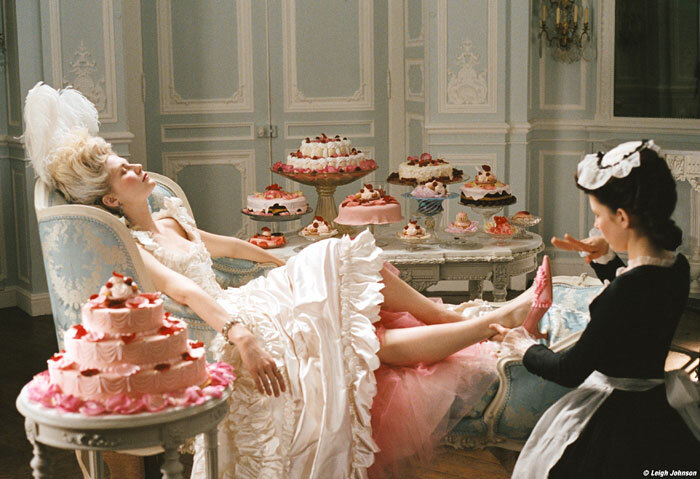 Sofia Coppola's "Marie Antoinette" isn't just eye-candy; it's an eye-feast. 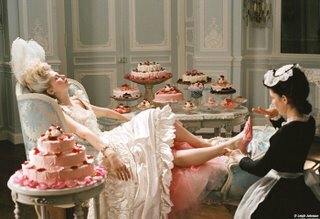 Some of the film's sequences border on the fetish: sumptuous spreads of shoes, decadent stacks of cakes and sweets, and tumbling falls of Champagne. And, please, don't get me started on the clothes or the leaning Tower of Pisa hair-do's. My eyes had a blast, but my mind was a little bored. Don't expect a history lesson or even much of a storyline. This is a tale about an idle, rich teenager that will keep your optical nerves quite satisfied.